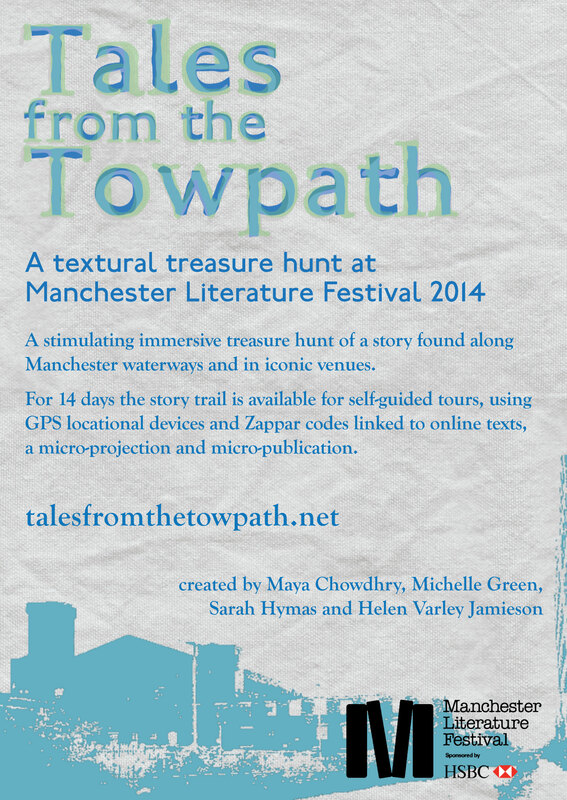 Tales from the Towpath is a story of Manchester waterways and their ecological fate. It spans the Victorian city to an uncertain future 50 years from now. Three characters circle one another across time. Danny, a bargeman, transports raw cotton for 19th century mills. Decades later, as an eminent Manchester businessman Daniel Adamson, he orchestrated the building of the Bridgewater Canal. As his next incarnation, in 2014, Dan is a prospector, looking for the next big thing in energy solution. Adamson appears 50 years from now, as a successful marine biologist with big ideas and questionable ethics. Tib Aberforth is spirited. Seemingly as irrepressible as water, and as imperfect as a Greek goddess. Once an indentured slave, then a zero-hour contract worker turned hydro-activist, her strange biology is advantageous to her, if troublesome to others. She takes the weight of the world on her shoulders, and is determined to do her bit for human and marine-kind, whatever the cost. A Canal Shark lurks in the water beneath bridges and round the brick bends of the city canals…but is it really so sinister? Its origin is surrounded by myth. Since the first sighting at the end of the 19th century, the original Canal Shark has been joined by more. 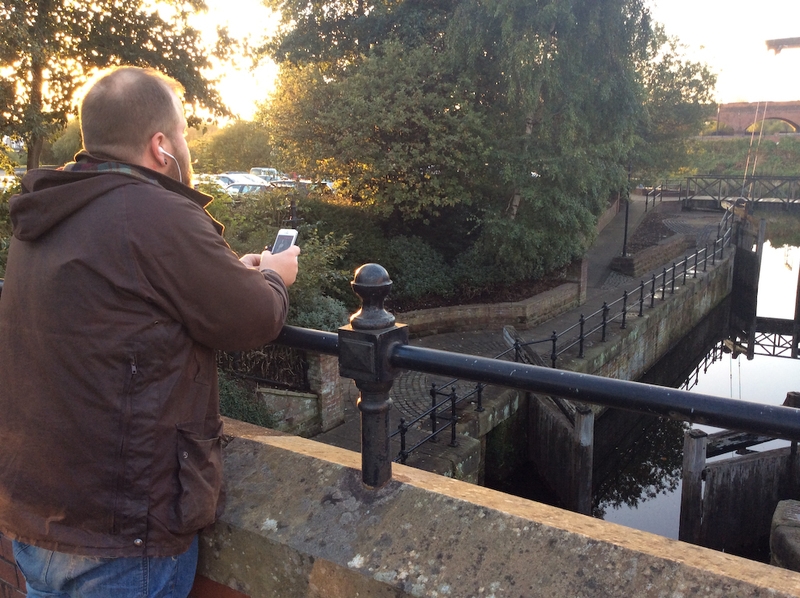 In present day Manchester, the Canal Sharks flourish, and begin to negotiate their way in a human world. 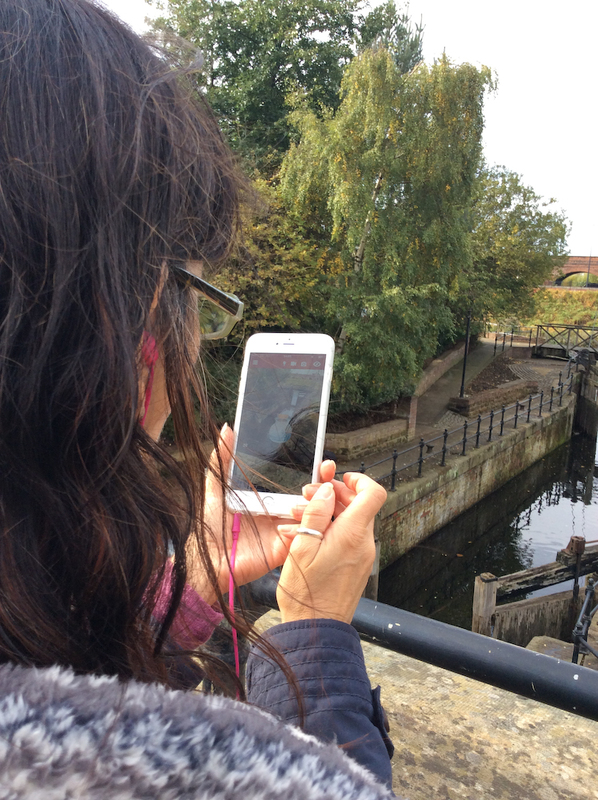 Geocaching, augmented reality, micro-elements and a live performance fused to tell the story. 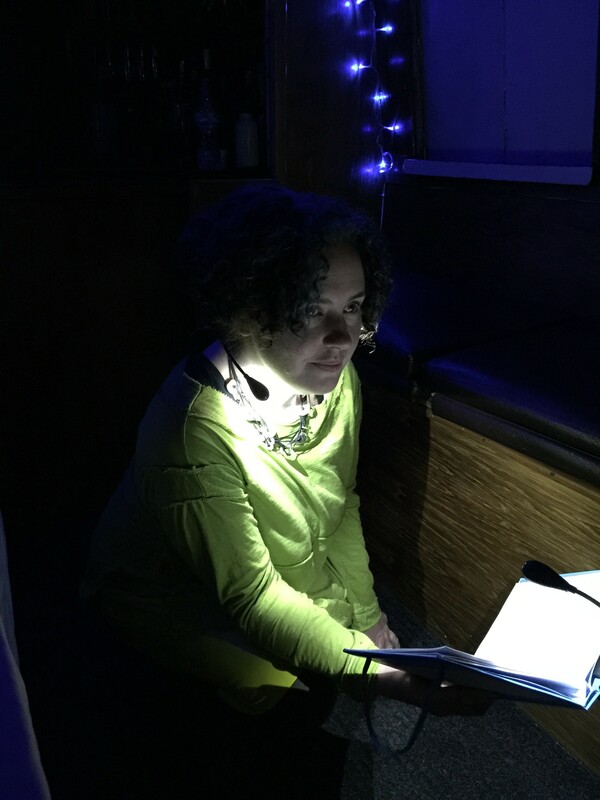 The microprojection and origami boat presented the flux and connection of the characters in the canals, waterways and landmark buildings that formed the environment of the story.